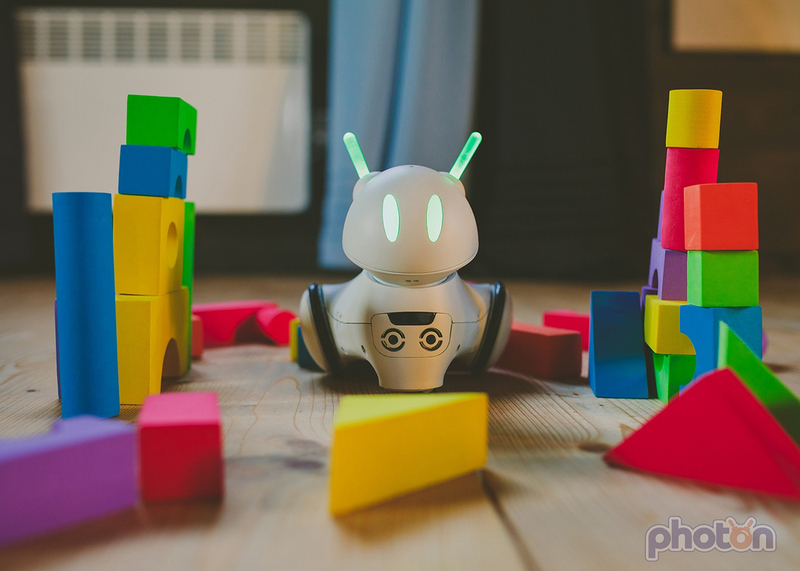 Photon is a cute kids robot designed to help children aged 6 to 12 learn about logical thinking and new technologies as well as coding and social skills. Photon has a back story and is an alien who has crash-landed on Earth. A Kickstarter has just been launched to raise funds to deliver Photon robots to early adopters. There are lots of robots that claim to teach kids about coding. So what's different about Photon? Well it's clear that a lot of effort has gone into designing a character that will visually appeal to children. If the team have managed to pull the same thing off with the way the robot interacts with children then that will be very powerful. Photons website says that "I was designed by specialists in the field of psychology, gamification and user experience." 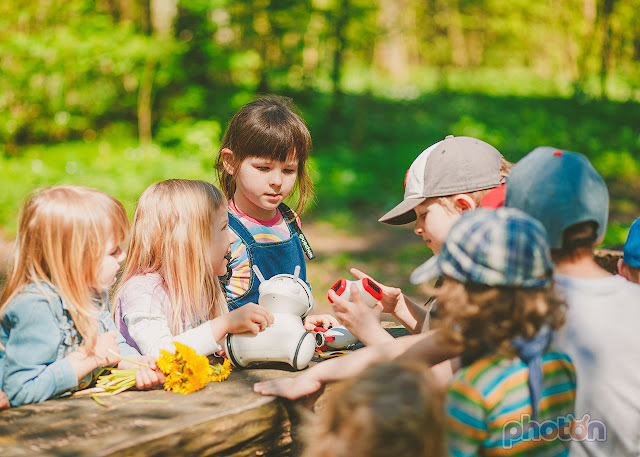 Photon is designed to take account of a child's development and change as the child learns more. The emphasis on logical thinking rather than just 'coding' is also interesting. We often talk about the importance of logical thinking here at Tech Age Kids. Photon does teach coding too and uses a language that has been inspired by Scratch and Google Blockly but doesn't directly support either. Instead Photon is programmed from within its own app which is available for both iOS and Android. Photon has a range of sensors and outputs that enable interaction which should add to Photon's personality and help kids learn about technology. 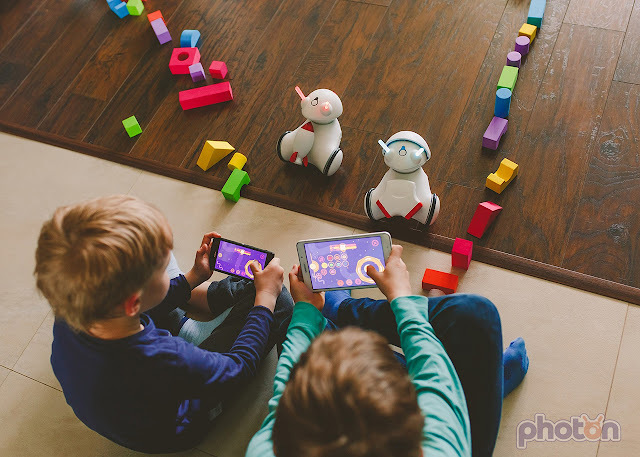 While we don't really share the Photon creators' concerns about children wasting time online (ours are learning fantastic logical thinking and tech skills with Minecraft), balance is a good thing and also having physical toys to develop those skills is even better.